Congress party's media cell in-charge Randeep Singh Surjewala, who lost Jind assembly by-poll so badly in Haryana recently, is not keen to contest the Lok Sabha poll, but his team members are ready. 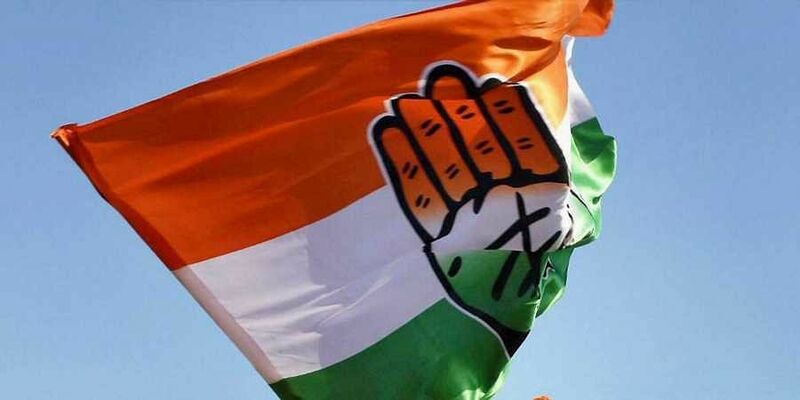 NEW DELHI: Many members of Congress media team wish to contest the ensuing Lok Sabha polls, and hence have staked their claims for the tickets. Senior Congress spokesperson Manish Tiwari wants to contest from Chandigarh, the home-turf of former Union Minister Pawan Kumar Bansal. In 2014, Bansal lost to BJP's Kirron Kher in Chandigarh, but this time he is getting tough competition from Tiwari in securing the party ticket, and also Navjot Kaur Sidhu, wife of cricketer-turned-politician and Punjab Cabinet Minister Navjot Singh Sidhu. In 2009, Tiwari got elected from Ludhiana Lok Sabha seat, and held important ministerial positions in then Prime Minister Manmohan Singh led UPA government at the Centre but expressed his inability to contest the last Lok Sabha polls, citing some health reasons. The party shifted Ravneet Singh Bittu to Ludhiana who triumphed against all odds. Tom Vadakkan, a senior party leader and veteran of the party's media management team, recently left the Congress to join the BJP. According to sources, he was keen to contest the Lok Sabha poll from Thrissur, currently held by the party senior PC Chacko. Vadakkan, who was also considered as a key aide of UPA chairperson Sonia Gandhi and one of the loyalists of Nehru-Gandhi family, had tried for the ticket in 2014 Lok Sabha polls as well, but to no avail. The party reposed its faith in Chacko. Congress party's media cell in-charge Randeep Singh Surjewala, who lost Jind assembly by-poll so badly in Haryana recently, is not keen to contest the Lok Sabha poll, but his team members are ready to try their electoral luck. Congress party leader and spokesperson Pawan Khera is eyeing for a Lok Sabha seat from Rajasthan. An old associate of former Delhi Chief Minister Sheila Dixit, Khera is said to be lobbying hard to get the ticket. Jaiveer Shergill, who was recently appointed a member of Congress media team, is said to be a close aide of party president Rahul Gandhi. He is keen to contest the ensuing Lok Sabha polls from Anandpur Sahib in Punjab. On being asked, Shergill confirmed that he has officially applied for the ticket from Anandpur Sahib seat, currently held by the Shiromani Akali Dal's (SAD) Prof Prem Singh Chandumajra in the Lok Sabha. In the 2014 Lok Sabha elections, Chandumajra defeated Congress veteran Ambika Soni by 23,679 votes. Pranav Jha, another member of Congress media team, wants to contest from Jharkhand's Dhanbad parliamentary constituency while Priyanka Chaturvedi is seeking nomination from Mumbai Northwest seat. Even new media panelist Shana Mohammad has applied for a ticket from Kerala. Former Union Minister and long time party spokesperson Shakeel Ahmed is keen to contest from Madhubani, from where he has been a Member of Parliament (MP) twice. The 17th Lok Sabha election is scheduled to start from April 11 and will conclude on May 19. The counting of polls will take place on May 23.